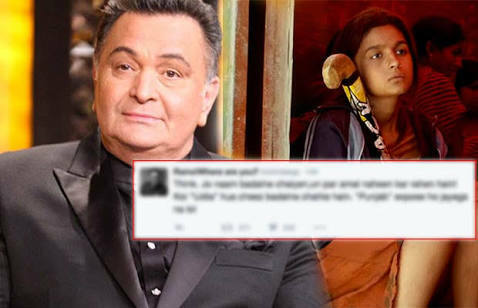 Here’s What Rishi Kapoor Thinks About Ranbir Kapoor's New Girlfriend, Alia! 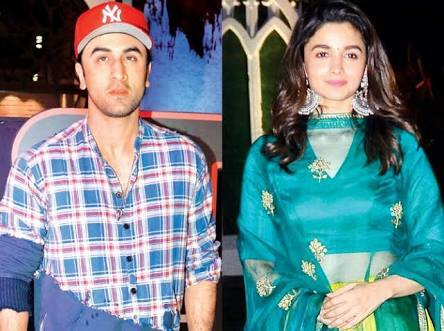 The rumors of Ranbir Kapoor and Alia Bhatt’s marriage have been getting more and more firm in the recent days and now even the parents of Ranbir Kapoor are showing an approval to Alia Bhatt in the interviews which were conducted recently. The relationship of Ranbir Kapoor and Alia Bhatt has been quite open in the media and both of them are quite comfortable of talking about this in the public. After the confirmed relationship between Ranbir and Alia, the parents of Ranbir Kapoor just can’t stop themselves from liking and admiring her. 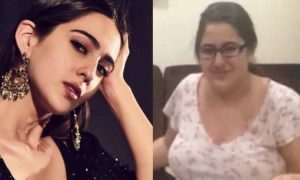 The proof is here with Neetu Singh exchanging comments with Alia Bhatt on her Instagram pictures and using some love emojis on her pics. Talking about Rishi Kapoor, he has been one of the most active and also a very controversial celebrity on social media. Talking about a recent interview of Rishi Kapoor, when the question came on Alia Bhatt, he just couldn’t stop himself from praising her. Rishi Kapoor states that he admires Alia Bhatt a lot and appreciates her contribution in the Bollywood Industry. He talks about some of the films of Alia Bhatt and also says the no one else could have done them better than her. He says that she is a very talented actor and her brilliant acting in the films like Highway and Raazi proves that thing. 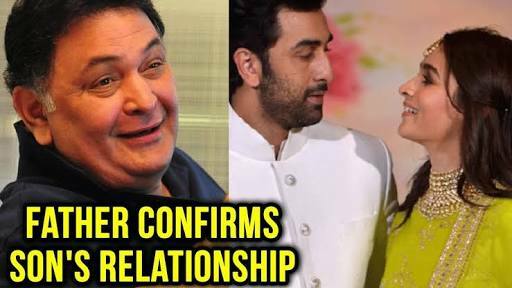 Parent’s of Ranbir Kapoor have been quite happy and open about their relationship after Ranbir Kapoor confirmed that he is dating Alia Bhatt. In an interview with Hindustan Times Rishi Kapoor opens up about his desire to work with Alia Bhatt. 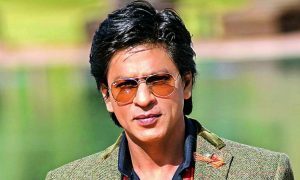 He says “I admire someone like Alia Bhatt, who takes up challenging roles like Highway (2014) and Raazi. It’s very difficult at this tender age to carry a film on their shoulders and only an actor can do that. Also, one has to be lucky enough to get such parts. Alia has been lucky and of course, she has the talent too” When he was asked about the young actors and what he thinks about them, he instantly took the name of Alia Bhatt without even spending any time on thinking about any other actor. 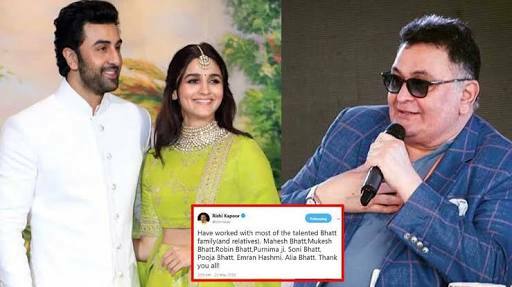 By all these actions and statements of the parents of Ranbir Kapoor, it is clear that they definitely like Alia Bhatt and have accepted their relationship completely. Rishi Kapoor also shows his love for the whole Bhatt family by posting a tweet which says “Have worked with most of the Bhatt family (and relatives). 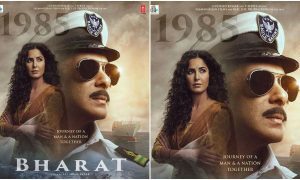 Mahesh Bhatt, Mukesh Bhatt, Robin Bhatt, Purnima Ji, Soni Bhatt, Pooja Bhatt, Emraan Hashmi and Alia Bhatt. Thank you all!” This tweet shows how much love and respect he holds for the Bhatt family and it must have increased even more after hearing about his son’s relationship with Mahesh Bhatt’s daughter, Alia Bhatt. 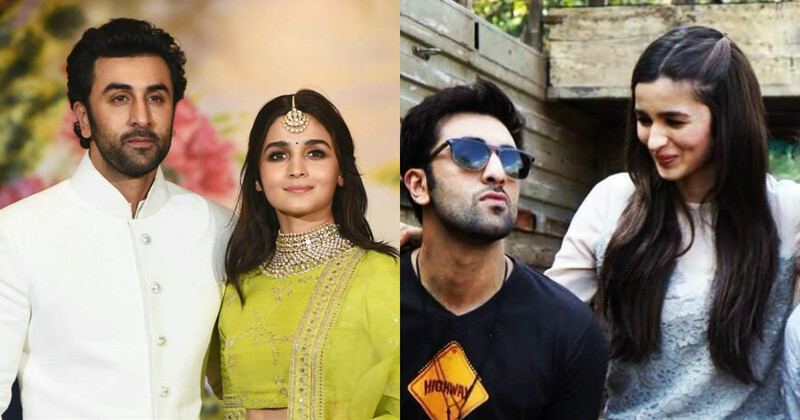 Both Alia Bhatt and Ranbir Kapoor have been on the top list of the most successful actors in our Bollywood industry. They both have done some totally amazing movies and have received immense love and popularity amongst their fans. 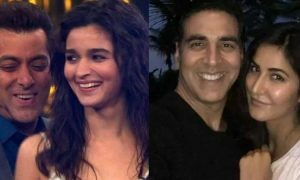 Another common thing between both of them is that they both belong to a family which has been contributing to the Bollywood industry from the past several years. Ranbir Kapoor is one of the most charming male actors in the industry and owns a big number of female fan following. On the other side, Alia Bhatt is one of the most loved female actresses of India and has a large number of fan following. 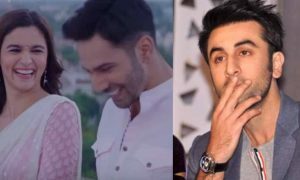 Ranbir Kapoor and Alia Bhatt have hardly appeared together in any Bollywood film but they would now be appearing together in the movie Brahmastra which would be releasing in the year 2019. The couple has been quite open on their relationship and has been talking all positive about each other in the media. 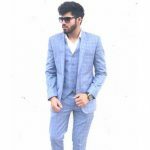 Rishi Kapoor has been showing a totally positive response on his son’s choice and the new couple is now looking forward to knots with each other. With the reaction and response of Ranbir’s family on their relationship, it is clear that their relationship is approved without any doubt and the couple could get married very soon.